In Nebraska, each driver is required to use appropriate care when driving. When a driver fails to drive with the required care, it can lead to a legal claim to compensate injury victims for their damages. 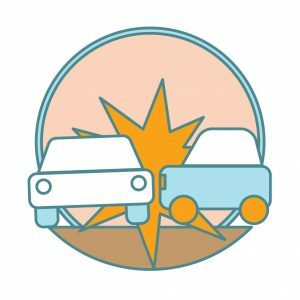 Contributory negligence is a term that is frequently used to describe the situation in which more than one driver was partly responsible for causing an accident. In a Contributory Negligence jurisdiction, any minor amount of negligence by the less at-fault driver would bar that person from getting any compensation. Comparative Negligence is actually a better way to describe the law in Nebraska. In Nebraska, more than one driver can share responsibility for causing an accident and it is still possible for the less faulty driver to recover compensation for his or her injuries, provided that driver was less than 50% responsible for causing the accident. In that situation, a person who was partly responsible for causing the accident would receive a reduced amount of compensation in proportion to the degree of their fault. For example, if one driver was considered to be 75% responsible for causing an accident and another driver was considered to be 25% responsible, the less faulty driver would expect to be able to receive compensation that is reduced by 25% from what they would receive if there had been no split of liability. One example of the kind of situation in which comparative negligence is normally applied is to any open intersection accident. Although the driver to the right has the right of way and would be less at fault than another driver who struck approached the intersection form from the left of the other vehicle, both drivers have a duty to maintain a proper lookout and the driver to the right of an open intersection is partly responsible for causing an accident. In Nebraska, a person who has been injured in a motor vehicle accident that was caused by someone else’s negligence may be entitled to compensation for their damages. There are two broad categories of damages that can be compensated. Special damages are things that can be readily quantified such as Property damage, lost wages or medical expenses. General damages include things like pain and suffering. There is often actual pain associated with injuries that may continue for a long time during convalescence or even permanently. Also, there is a lot of hassle and inconvenience involved. It is not fun to have car problems, problems working and medical problems. All of these things require inconvenience and effort that cannot readily be given an exact dollar value but that deserve compensation. If you were a passenger in any vehicle you would not normally be considered at fault and you can expect to be able to be compensated for either driver’s negligence. There used to be a law in Nebraska called the guest statute that prevented you from making a claim as a passenger against a close relative’s insurance but that is no longer the way things work here. Even if the driver of the car you were a passenger in was a family member you can make a claim. Although making a claim against a family member could possibly be the source of conflict within a family. Most people would rather that an injured family member was able to receive compensation. Normal people would want their insurance to cover their own family. The Montag Law Office has helped many thousands of people injured in Nebraska motor vehicle accidents. If you have recently been injured in a Nebraska accident, call Steven A. Montag at (800) 533-0067 to discuss your situation today. We can help you make a successful claim and get the compensation you deserve. The Montag Law Office has two convenient locations in Omaha and Lincoln to serve you. Evening and weekend calls are welcome.